A few weeks ago, the team over at the Richard Ward Salon & Spa invited me to have an exclusive appointment with none other than Royal and celebrity stylist himself; Richard Ward! 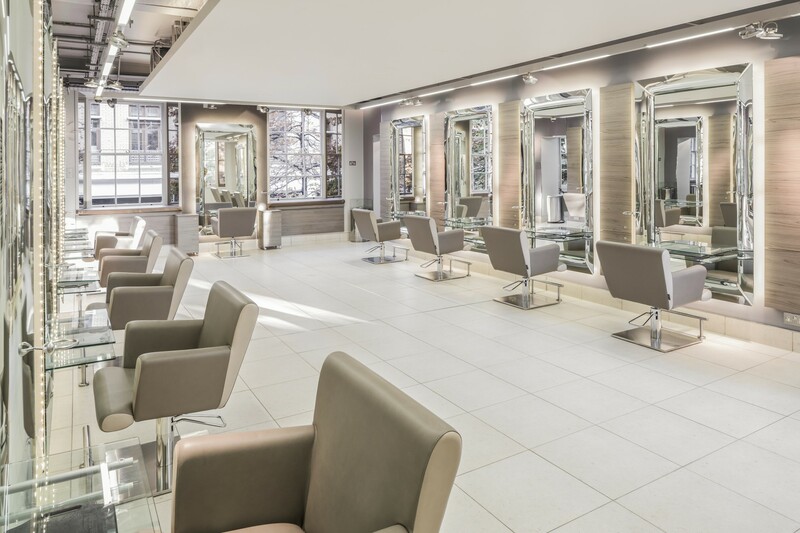 Situated in London’s beautiful Chelsea, a visit to this salon is a perfect treat or pick me up during your shopping trip. It was such an exceptional experience and from this one visit, it was clear to see how the salon had won multiple industry awards. 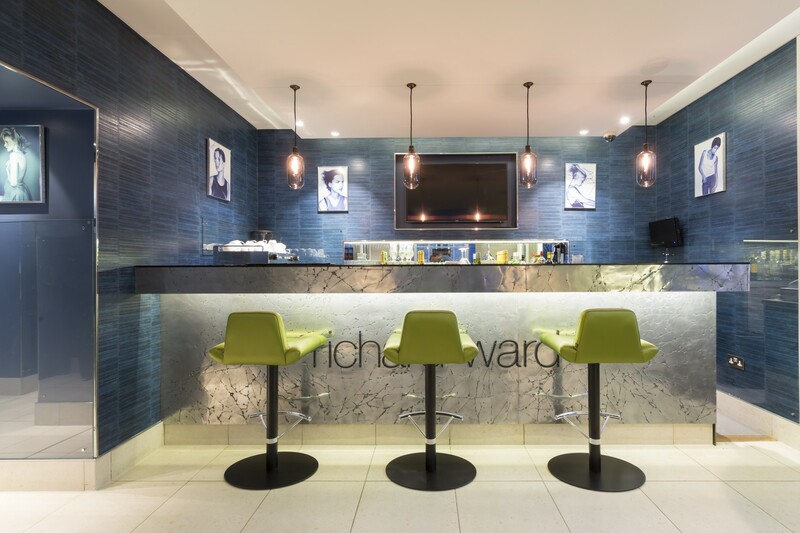 The Richard Ward Salon & Spa offers exclusive beauty treatments and therapies alongside their usual hair services. 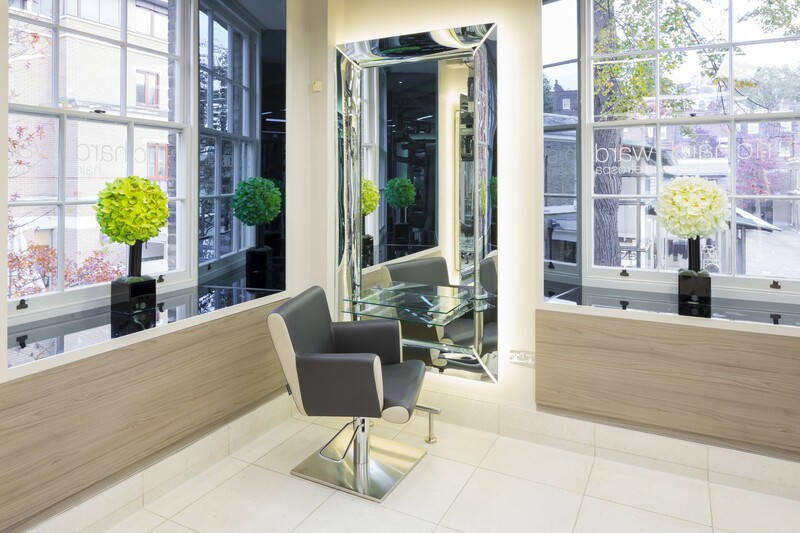 Each section of the salon is dedicated to a particular service or treatment and ensures guests a fantastic experience. Even the main entrance was impressive. From the welcoming coffee table and chairs outside to the funky bar located in the main salon. I was slightly early for my appointment (not like me at all!) so was shown and seated in the bar. You can enjoy a cocktail or whatever other beverage suits your fancy as you wait for your appointment. Richard was fantastically hands-on with my blow-dry and left me with amazing feeling and looking hair! 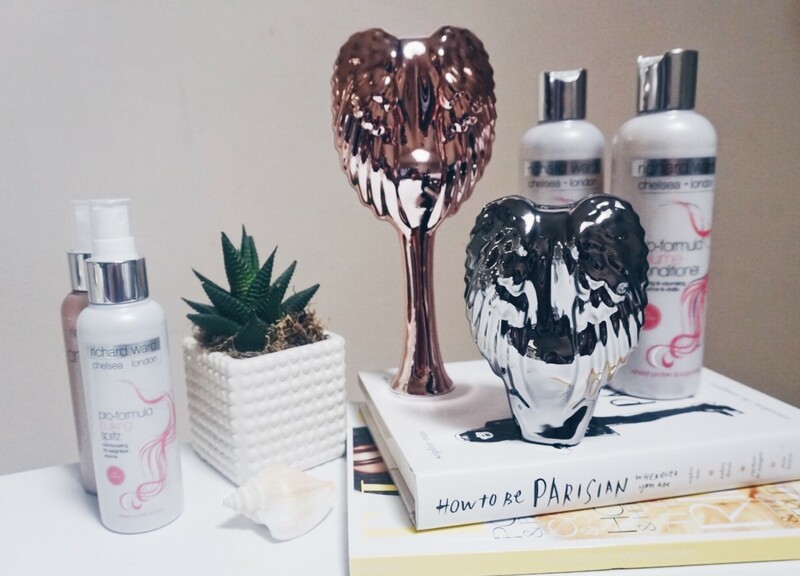 But the highlight was having him personally introduce me to the new range of Tangle Angel products. The Tangle Angel is a unique brush designed to tackle even the most stubborn tangles. You may already be familiar with similar products, but the Tangle Angel outshines it’s competitors for one simple reason – it has a handle! True to it’s name, the design is The latest range comes in metallic finishes of either wow white (silver), titanium (dark grey), precious pink and my favourite – rose gold! As well as the stylish design and colours, the Tangle Angel boasts other great qualities. It is anti-bacterial, anti-static and both heat and water resistant. So I’ve been using the Tangle Angel Pro for about 2 weeks now and absolutely love it! My hair is still quite short at the moment so I don’t really need to use it when styling my hair. But I often curl/wave my hair, and the morning after it’s usually a frizzy mess! But this just detangles my hair instantly and makes it manageable and easy to restyle. I personally love the compact version as it comes with a cover that doubles up as a mirror! I’m a bit of a germaphobe, so the cover is a really nice touch for me. Both versions are the same price, at £19.50 which is very reasonable considering the use you will get out of it. 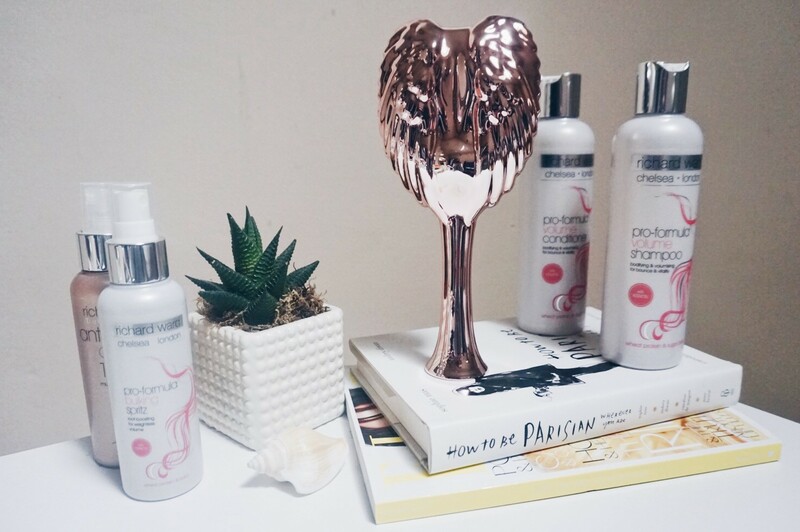 Have you tried out any of the Tangle Angel products before? What do you think? DISCLAIMER: I was invited to the Richard Ward Salon for a complimentary blow dry appointment. All opinions expressed on services and products are my own. I’ve seen bars at some hairdressers. I think it’s a great idea. The tangle angels sounds great. I didn’t realise they are anti-bacterial, anti-static and both heat and water resistant – I need one now!!! I’ve seen these Tangle Angel brushes at TK Maxx before and I pick them up every time but I’ve never actually bought one! Also, the salon looks absolutely gorgeous! We LOVE our Tangle Angel! We’ve had Tangle Teazers before this but I wouldn’t ever go back! I love that it has a handle to hold and doesn’t go flying across the room every two minutes! I also love how glossy it leaves the kids hair! OMG I totally agree! I was always dropping mine too. This one is just perfect. Nice! I think I’d like the covered version too. Germaphobe here too. lol I love the design of the brush and color. Very sleek. That was a beautiful salon….did you get offered champagne and strawberries while you waited to get her done? This sounds like an amazing product. Anti bacterial & anti static too. AND it’s so pretty! All three of us have trouble with tangled hair, so this could be a great little addition to our hair care cupboard. OMG I see these places all around, but haven’t dared to go in yet. No, I’ve never tried or even heard of these products, but you have done a great job making them sound appealing! That salon looks amazing and seems like it would really beckon you to stop in for a spa day and drinks with friends. Oh my goodness that salon looks amazing! Having a bar in there is a genius idea. Wow what a chic hairbrush! The salon looks absolutely stunning! We have tangle Angel brushes and they work really well. I have never seen the silver and dark grey ones before. Oh wow, this looks so pretty and it sounds so good. I need this in my life! I need this for my daughter, she gets terrible bed head! Wow – what a great salon trip and to actually have the man himself, Richard Ward, style your hair must have been amazing!!! Plus love that the salon has a cocktail bar. 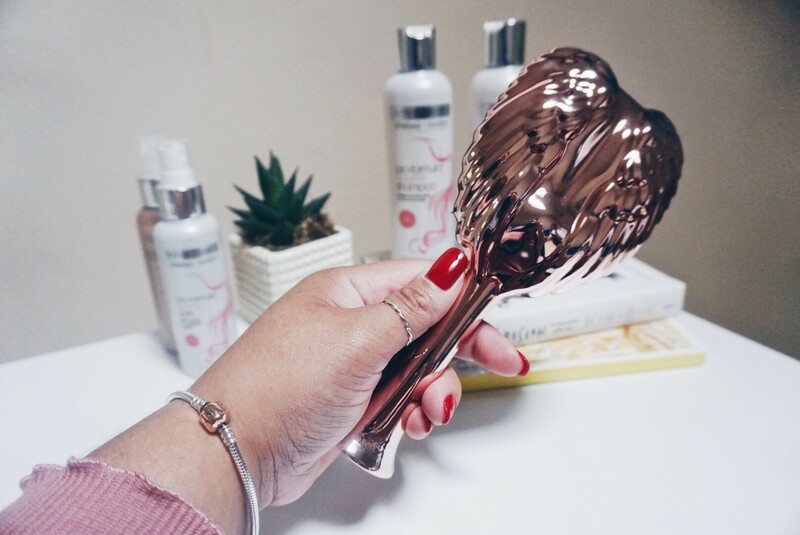 I use Richard Ward products a lot and I have seen the Tangle Angel kicking about on Instagram – and your review has sold it to me…plus I too love rose gold! Plus the added bonus of it being anti-batcerial is great.